Free download Alien Wars game for your PC. It is a space shooting game and developed by Gametop. Free your mind from fear, have faith in yourself and you’ll see millions of galaxies in this game and you won’t believe it. Alien galaxies will be in front of you. 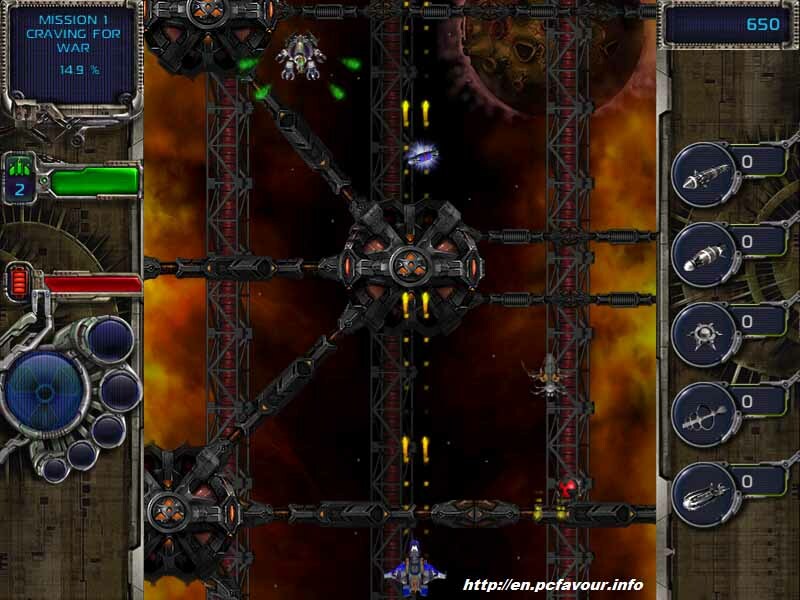 Alien wars game includes the arcade and space shooting features. It will bring you back in childhood memories when you played a lot of space shooting game, but this one is improved graphics, scenes and the best shooting games. Basically, it is a scrolling shooting game, you’ll have a lot of enemies coming towards you down to screen, and you have to kill them all to save yourself. All enemies will appear in different groups with their powerful bosses and to fight with them you’ll have a bonus protecting shield and powerful weapons in this case. It has many levels, so it seems that you’ll be enjoy for a long time.